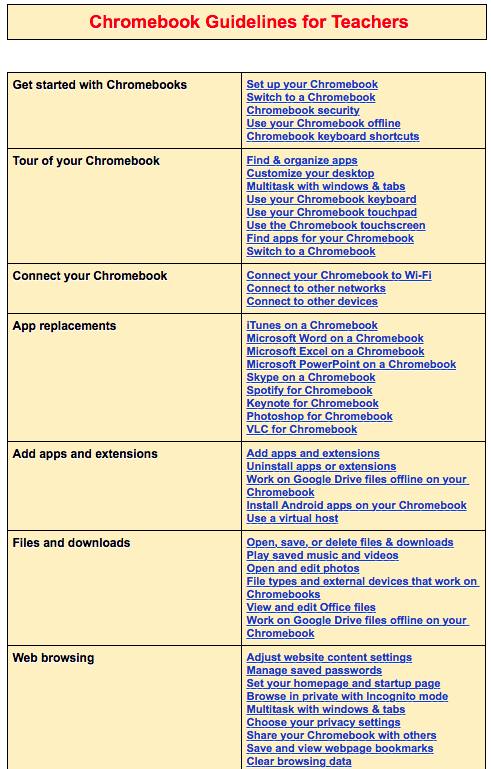 If you are using or planning to use Chromebooks in your teaching, the chart below is a resource you should definitely keep handy. This is a collection of useful guidelines to help you make the best of Chromebooks in instruction. We curated these resources from Chromebook Help and arranged them in such a way to make it super easy for teachers to locate and access answers to questions they might have about the functionalities or features of Chromebooks. You simply click on the title of a guideline and you will be directed to a page where you can learn more about it. 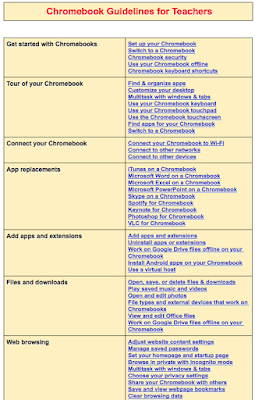 For educational apps to use on Chromebook check out this page.